The ingredient lists, if available, of all the mask below have been attached for your info. Feel free to enlarge. Price: I got this for free with either magazine or pharmacy purchases in Taiwan. On the site it says NT$89 for box of two. Price in local pharmacy (Watson's) has to be confirmed. Claims: Instant whitening and makes skin glow/brighter. Scent: It has a nice scent that is not too strong, like. My Review: The texture is a very thin paper-like sheet. Fit my face pretty well. I would like it to be softer. Effect was okay, I don't notice instant whitening, but skin looks more glowing until the day after. Not very hydrating nor moisturising. Rating: Hurray. I have tried several of Divinia products, this is the first that makes me consider buying again. It is as good as other 'better' Taiwan brands. Price: HKD$77.9 for box of 6. It is always on sale though, I got it probably around $30 to $40. My Review: Sheet is textured and medium-thin. Fitting was unsatisfactory. Biggest complain, the liquid is too plenty, so much left in the pocket, so much dripped while applying, and so much that after the mask is on, the mask wanted to slide down. Effect was okay. It is indeed moisturising and my skin feels good afterwards. No opinion formed on repairing nor energising though. Rating: Okay. I can live without this, I feel. Who wants to try some? Scent: Nice, pretty soft vanilla-y. 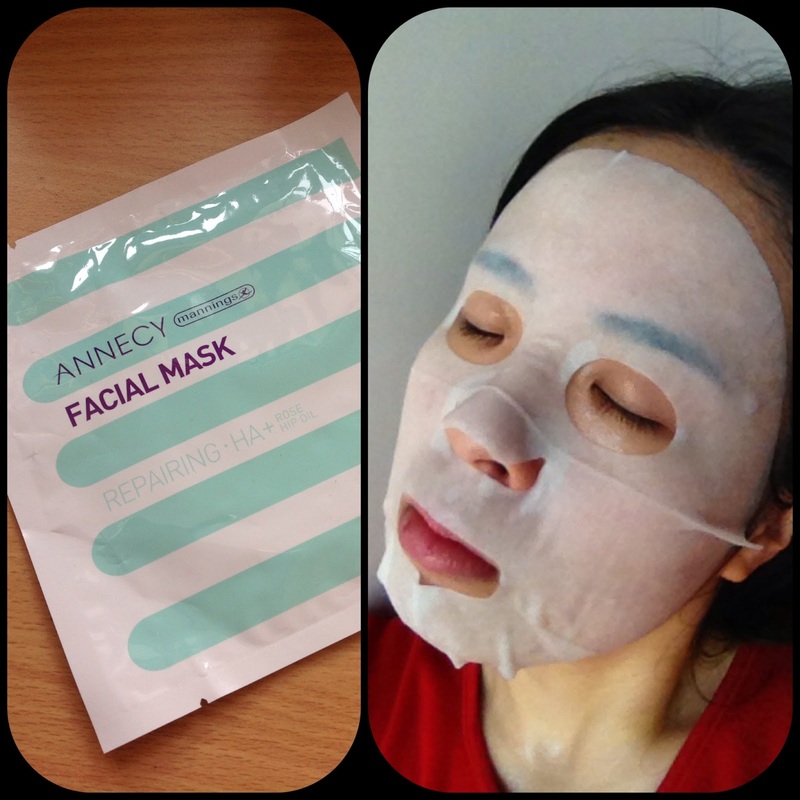 My Review: Sheet is ultra-thin and prone to breakage, the two plastic inserts definitely help a lot to fit the mask in place. This was the first one I try from this brand, hence I put it on rather messily. 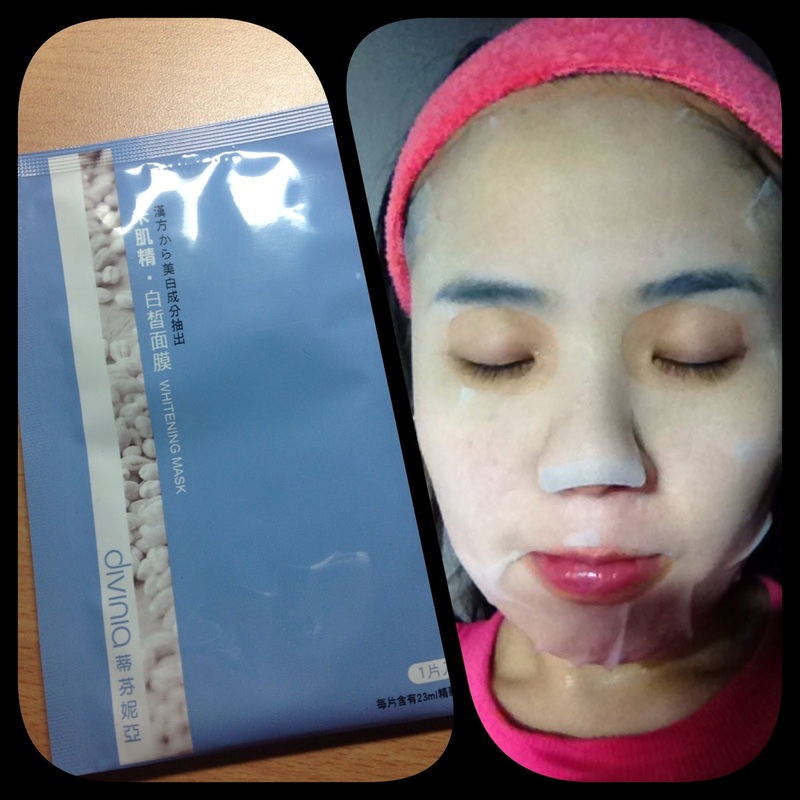 After the mask, my skin feel hydrated and soft. I do notice it being more smooth and bright looking. Can't tell the effect of whitening/lifting/revitalising though. Rating: Hurray. Love it and will love to try more from this brand. Better if it's price can be lower! 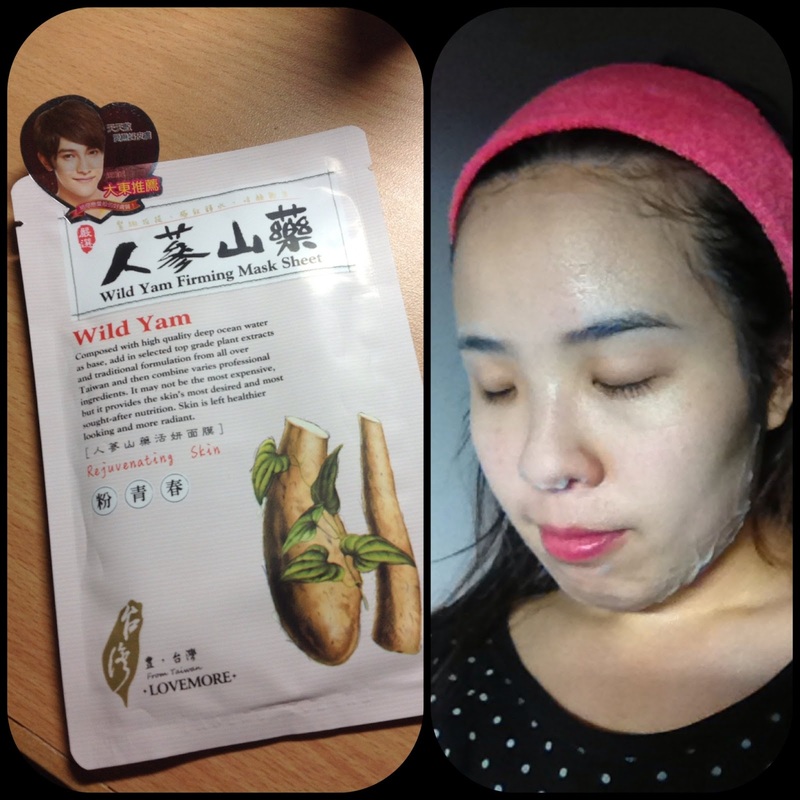 Claims: Whitening, Clear skin, Revitalising. Review: Leaves my skin very bright and fresh after use. It is hydrating but not very moisturising. When mask time is over, there isn't much droplets or moisture on top of the skin. I find my skin glowy but almost 'dry' to the touch, if it makes sense. Rating: Hurray. Love this, will make a great Summer mask! Scent: Light rose scent. Pretty, but not very natural. My Review: My skin was dehydrated and a little irritated on that day, before this mask. I feel my skin is moisturised, less irritated and plumper. 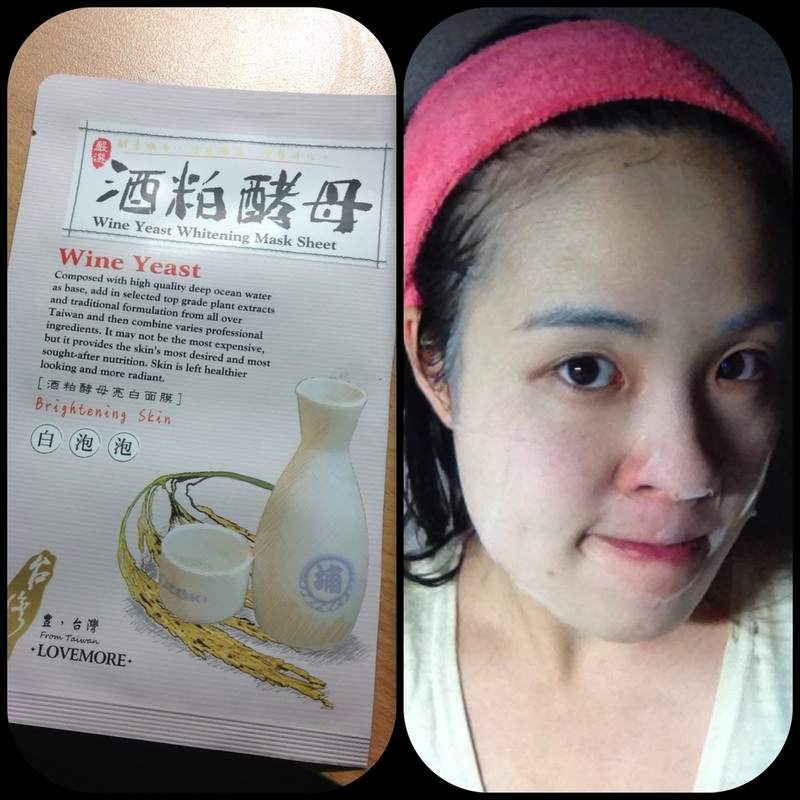 It leaves a more 'sticky' nourished feel on the skin than the Wine Yeast. 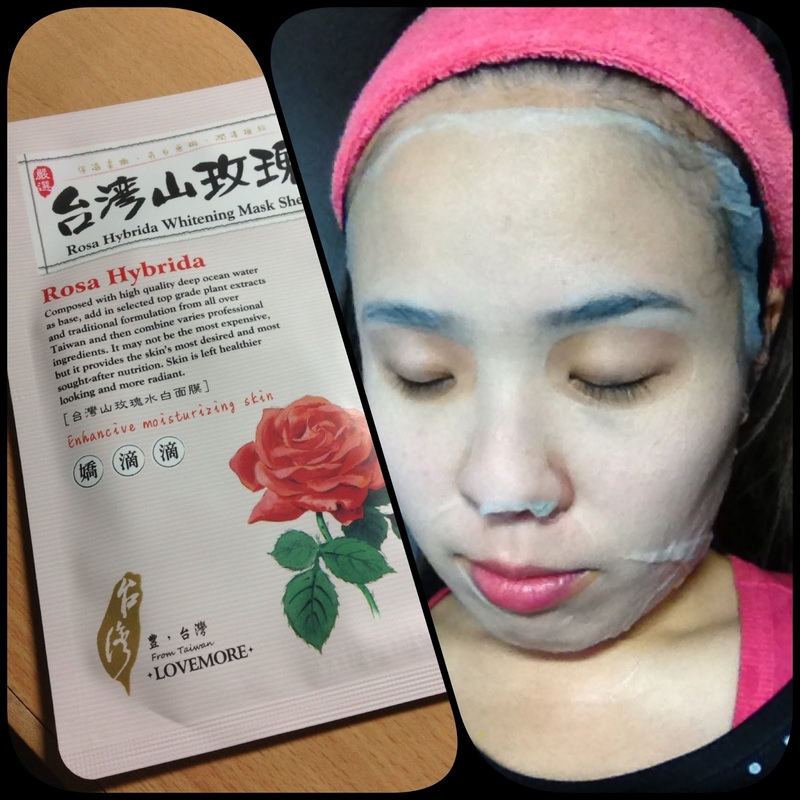 I will suggest people with skin oilier than normal to try the other ones before this Rosa one. Rating: Hurray. Really enjoy this one for my horrible skin. I have dry skin, so this is pretty perfect for me! Scent: Ginseng, plant root scent. I am a big fan of ginseng scent, so this is big thumbs up! My Review: I am a huge fan of the LoveMore silk sheet masks, hence using a few flavours in a row! The amount of lotion is right, not too much in excess but more than enough. 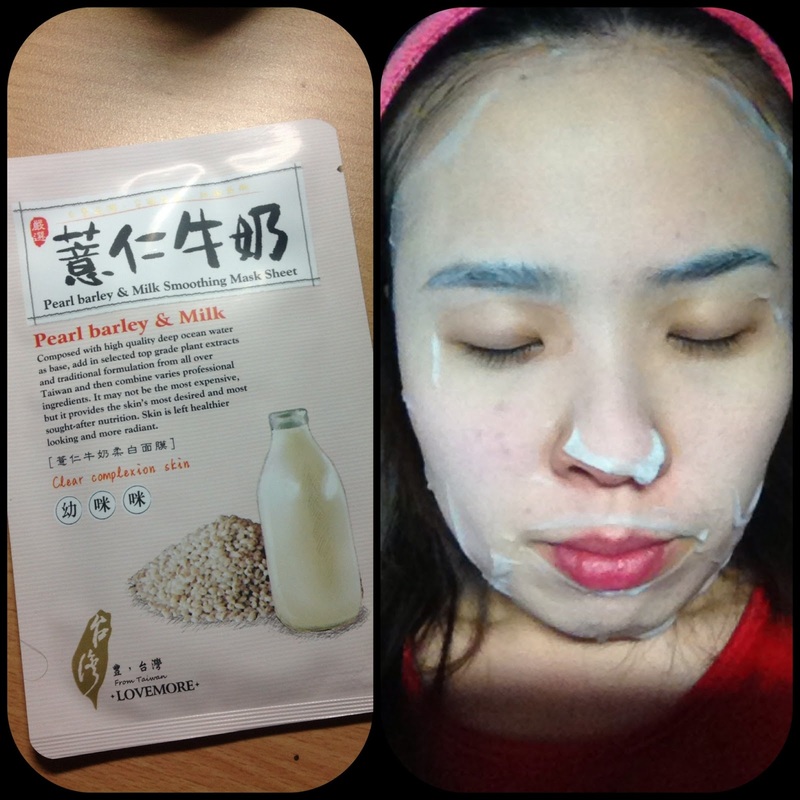 After using this my face feel more firm, not tight, not soft, just a feeling of more toned and healthier skin. The moisture part and rejuvenating I'm not too sure. I feel this mask leaves my skin kind of soft and smooth but not moist and plump (do you get what I mean?). The most spectacular thing of this mask is that my skin looks and feels abnormally bright and smooth the day after. I barely wore any make up and skin looked glowing! What are your favourite skin masks/ special treatment? great post. I rarely see posts on face masks. I search tumblr sometimes and they actually have some to my surprise. Also the face masks fits your face so well, mine is always hanging off or I need to fold the ends because my face is so small! It seems like Lovemore makes awesome face masks. I'll definitely give them a try. I'll get them during my next sasa haul I do not want to wait 6 months for my face masks!